Durable and mobile (fully inflatable with exhaust gasses of a vehicle). Versatile (can be used to lift even a vehicle trapped in mud or sand). Has been tested by vets and farmers with a 100% success rate. Fully guaranteed for 24 months after date of guaranteed for 24 months after date of purchase against faulty workmanship. Cow Jack was designed to lift that "down" cow in a natural way with no stress on the animal. No injuries can occur during this process. Cow Jack is farmer-friendly, easy to operated, easy to transport and handle and not labour intensive. Inexpensive: Cow Jack is manufactured out of the best and very durable material, which means no or very low maintenance cost. Cow Jack will last for years if looked after and used in normal conditions. With the cost of animals today, Cow Jack is a very small investment, but the best one a farmer can make today. Mobility: Difficult terrains presents no problem, as Cow Jack is not dependent on any power supply. When electricity is available, a compressor can be used to inflate Cow Jack but take care not to over-inflate. Approved: Cow Jack was tested and approved by vets and farmers with a 100% success rate. Guarantee: All components of Cow Jack carry a 3 months guarantee under normal use. If properly cared for, Cow Jack should give you years of service. 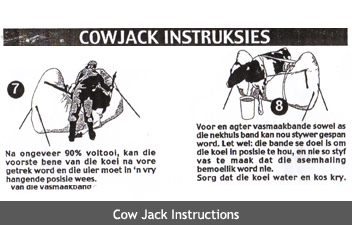 Cow Jack is quality manufactured by Top Canvas in the Republic of South Africa. Place the Cow Jack ±30cm from the animals back (at a 90° angle with the cow). Make sure that the inflatable support pillars are facing upwards. Loosen all belts and put four anchor pegs (about 1m of each corner of the Cow Jack) in the ground. Roll the animal over onto the Cow Jack. Ensure that the animals head is supported and turns at the same time as the rest of the body. 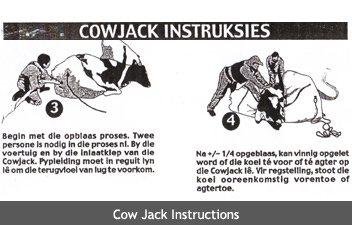 Make sure that the animal is positioned more or less in the middle of the Cow Jack. Start with the inflation process. Two people are required during this process, one at the vehicle or air source and the other at the inlet valve of the Cow Jack. 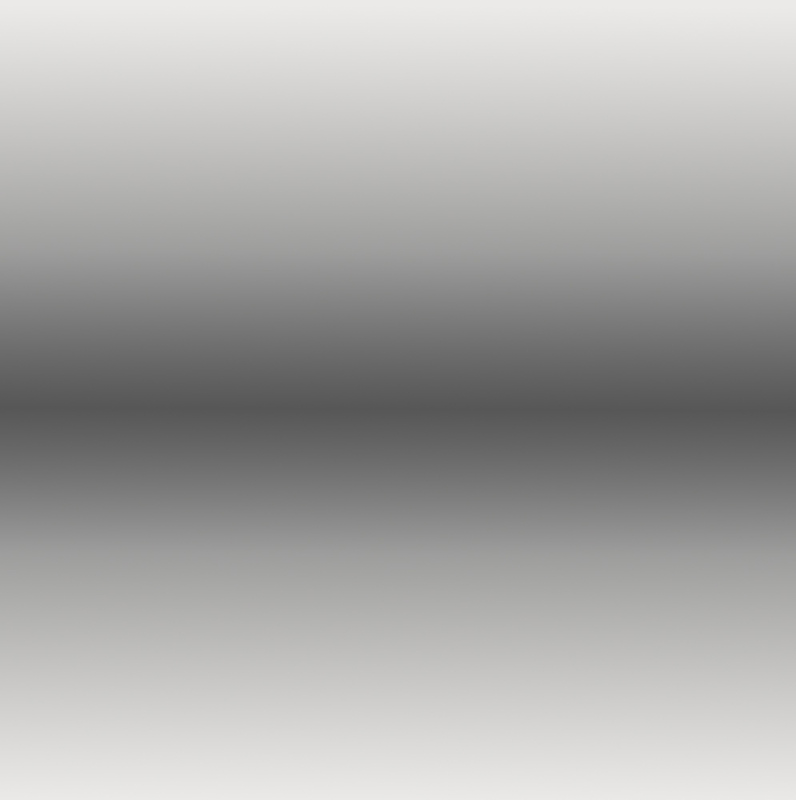 Ensure to the inflation pipe are in a straight line to prevent back flow of air. 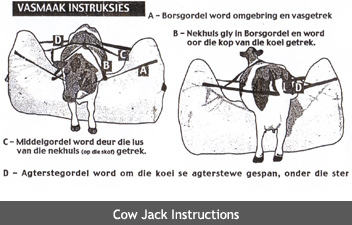 During the inflation process, observe to see whether the animal is in the right position over the Cow Jack. If not, rectify this by pushing the cow to the back or front. Attach the front and back anchor ropes to the pegs. The back straps must now be secured. 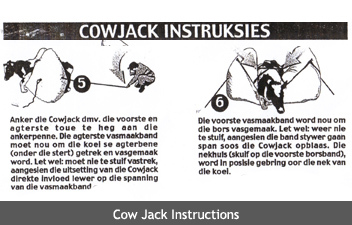 Do not tighten the back strap, due to the inflow of air, the Cow Jack will still be in the process of expansion, which will automatically put more tension on the straps. The front straps or front girth are put into position. Make sure that this strap is not too tight due to some expansion in the Cow Jack. The neck brace or Halter is put into position over the animals head. 90% complete, make sure the front legs are pulled straight ahead and hind legs pulled back as far as possible. The udder must be in a free hanging position. All the straps can now be tightened. Note: the aim of the straps is to keep the animal in position. Over tightening can cause difficult breathing for the animal. Supply food and water. Milk the udder as soon as possible. Do not leave the animal for more than 5 hours on the Cow Jack. 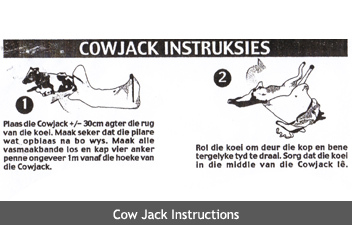 Overnight, undo the straps and deflate the Cow Jack completely. Allow the animal to rest in its normal position on top of the Cow Jack. If a compressor is used to inflate the Cow Jack, do be careful not to over-inflate. Over-inflating can cause the Cow Jack to burst, which will not be covered by our warranty, 5 bar pressure is advisable. The purpose of the Cow Jack is to support the animal and not to inflate it to such an extent that it actually lifts the animal of the ground. The exhaust adaptor FUNNEL-SHAPE (normally blue in colour) is made of PVC and can melt when overheated. Make use of a damp cloth to cool the adaptor down during the inflation process. The manufacturer, distributors or agents cannot be held liable for loss of livestock. All Cow Jacks manufactured by Top Canvas are warranted to the original owner for a period of two years from date of purchase against workmanship on the Cow Jack, D-ring patches, valves and defects in material. Factory attached accessories will be repaired or replaced at manufacturers option. The customer is responsible for shipping and handling to and from manufacturers plant or an authorised repair station. This warranty is void if the Cow Jack is structurally altered, used commercially or subjected to stress beyond the physical limits of the fabric and accessories. This warranty does not cover abrasion and abnormal use.